Copyright, 1893, by Geo. T. Worth & Co. List to the tale of my first love, Sweet Rosabel. O'er me she casts a spell, my charming black-eyed Sweet Rosabel. I took it in and I named it Sweet Rosabel.- Chorus. 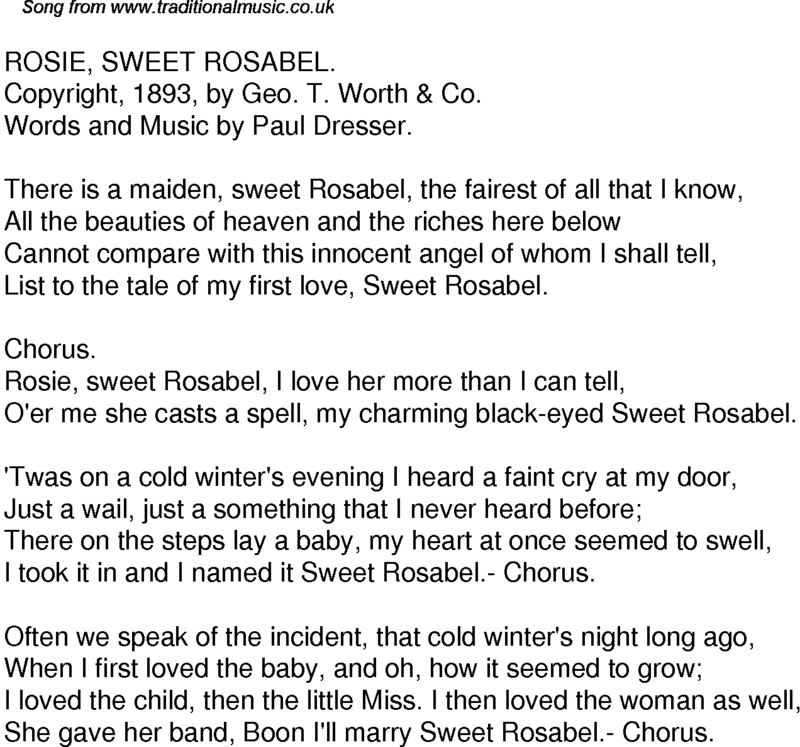 She gave her band, Boon I'll marry Sweet Rosabel.- Chorus.